(20 min podcast, slides) Addresses the unique problems faced by public libraries vis-a-vis publishers, especially journal aggregators. 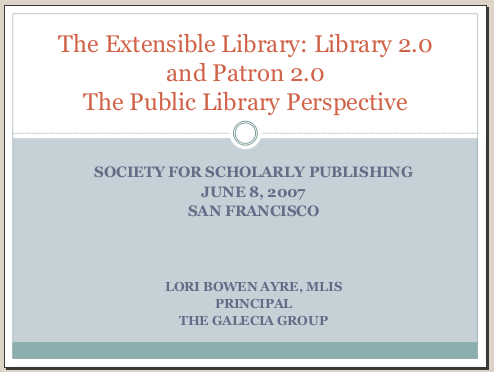 Panel presentation at the Society for Scholarly Publishing Annual Meeting, held in San Francisco. One of three presentations that were part of this panel.